Welcome to our Christmas home tour! If you have just come from Sara Sofia Productions, we hope you are enjoying the tour so far! 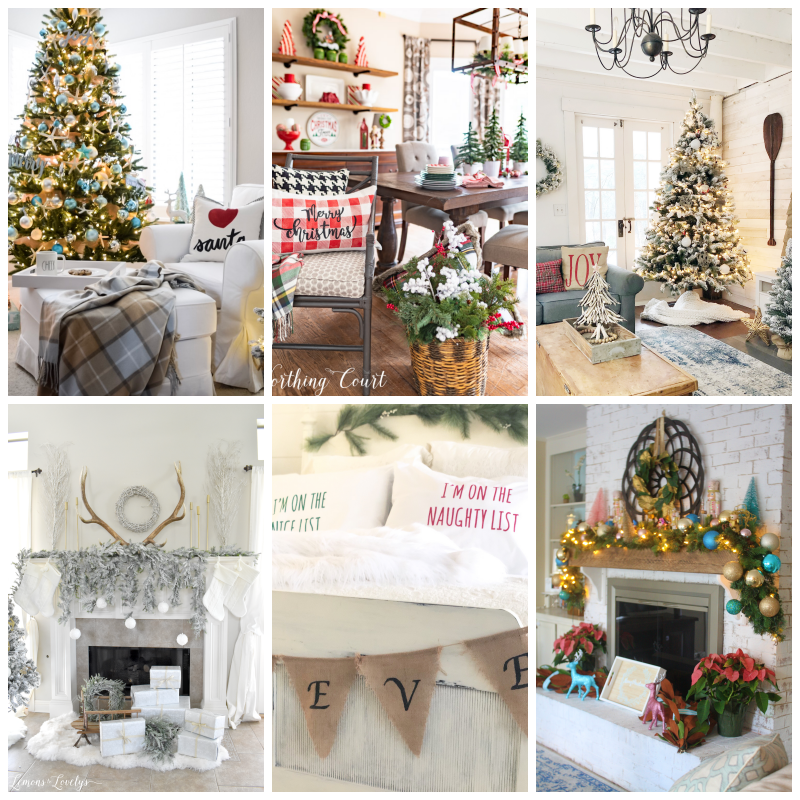 We have decorated some favorite spots in our homes and want to show you around today! This is Sue's entryway with a King of Christmas 9-foot flocked tree in the corner and next to it is this beautiful lace teepee adorned with Christmas pillows and gifts! Wouldn't the teepee be a great place to keep the gifts this year? Teepee is from @tindylandus and can be found on Amazon. The Merry Christmas Garland is from krumpetshome.com and it's so cute!!! This is what you will see on the other side of Sue's entryway...more trees on her chalk-painted buffet console. This console was an estate sale find a few years back! The buckets were also found at estate and yard sales. We pick them up whenever we see them for next to nothing......we love to bargain shop around here. 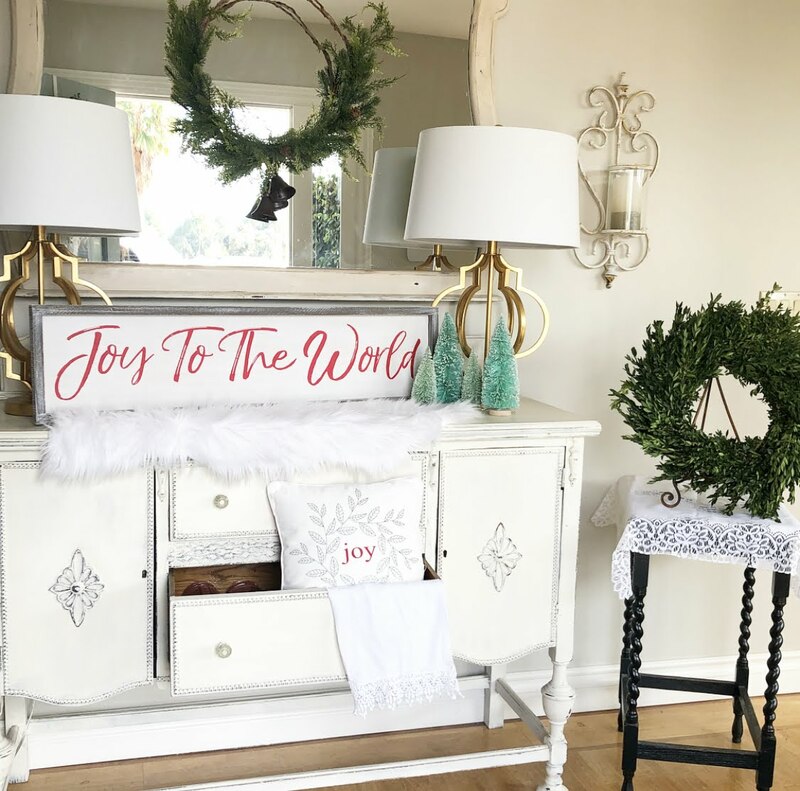 Another wonderful piece we love to style is Sue's gold bar cart from Target for any occasion but especially for Christmas! Here we have it styled it with this amazing Polish Pottery from Tuesday Morning! 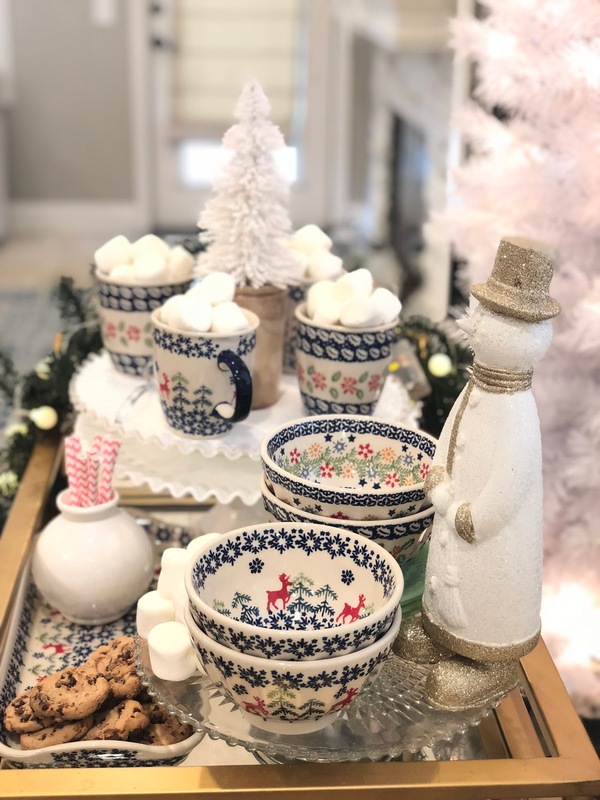 It's really beautiful and we love this pattern for Christmas! So FUN! Anyone for some Hot Cocoa and marshmallows? We love all things vintage and here are just a few of those things! Vintage ornaments, vintage celluloid (the frosty the snowman) and milkglass! She has many selections to choose from including personalized as well. 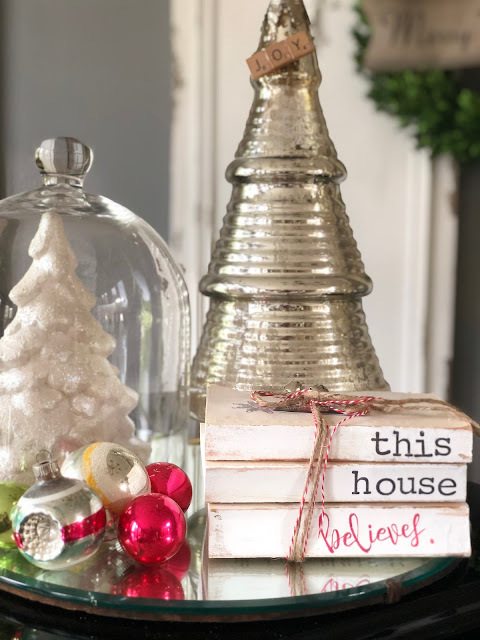 We love "This House Believes"
How cute is this for the holidays and even all year round! They would make the perfect gifts too! We sent a message to Brooke with a pic of Sue's empty mantel and she had some great ideas! This mantel has always been a challenge to style in Sue's family room but we really LOVE how it turned out with this MERRY & BRIGHT cutout and these fun snowflakes from Brooke! More Shiny Brite ornaments styled on this ottoman in Sue's family room! Here is another view of Sue's family room with bottle brush trees, Shiny Brites, and fun Christmas pillows! Still debating whether to decorate the tree in the corner! 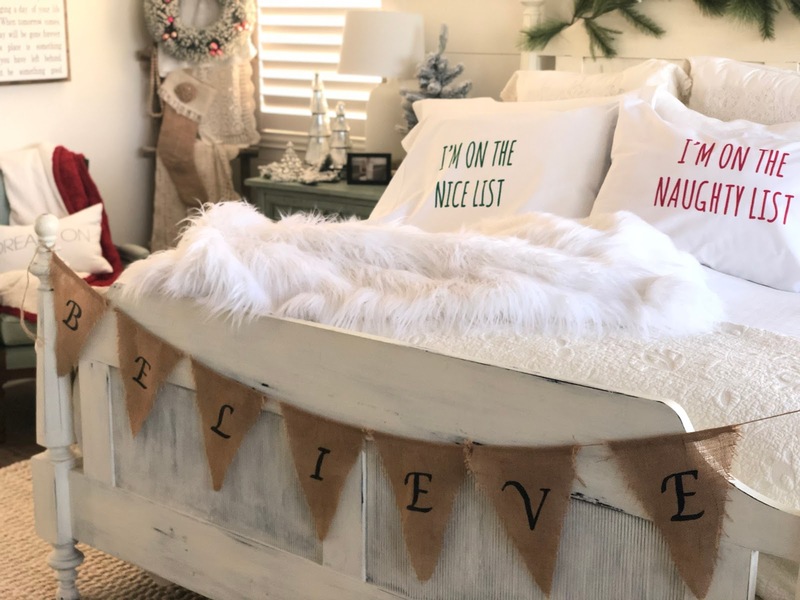 Do you bring Christmas into your bedroom? This is Sue's master bedroom and she just added touches of Christmas with these Naughty and Nice pillows from World Market and this DIY Believe banner. The bottle brush wreath was an antique find for $10 and we just added garland over the headboard from Target. This is Teri's gorgeous entryway and we are bringing in some color here with this beautiful sign! We also like using bottle brush trees anywhere we can at Christmastime. We collect them too! They come in wonderful bright colors such as this bright green that you see here! These bottle brush trees seen here on Teri's console were found at the Target dollar spot for $1 each. Could not pass that deal up! Stay tuned for more of our Christmas decor and more of Teri's home...we are just getting started on her holiday decor! *When decorating for Christmas (or any holiday), first use things you already have and then if needed, add to it to freshen things up. *Try to discard or donate items that are no longer needed. This will free up space and it will feel so good to purge items you no longer need! 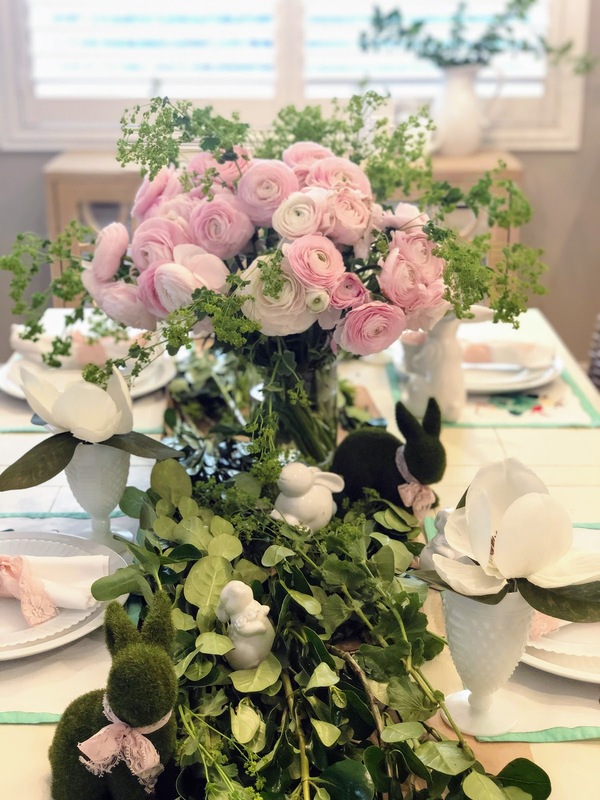 *Remember that decorating does not have to be expensive. There are so many things you can do with things you already have around your own home. *Recycle and reuse if you can. *Check out local thrift shops, and estate sales. Do not be afraid to go to a yard sale! There might be something there just for you! Hope you enjoyed our Christmas Tour! Please leave us a comment and tell us what you loved! 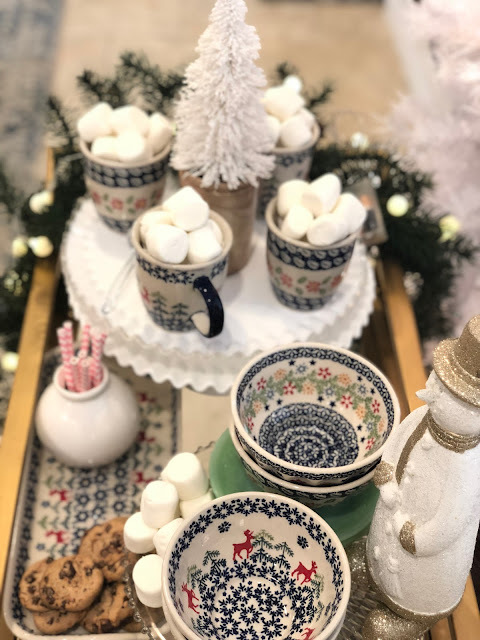 Next on the tour—be sure to stop at Amy's lovely home @cutertudor for some more amazing Christmas inspiration!